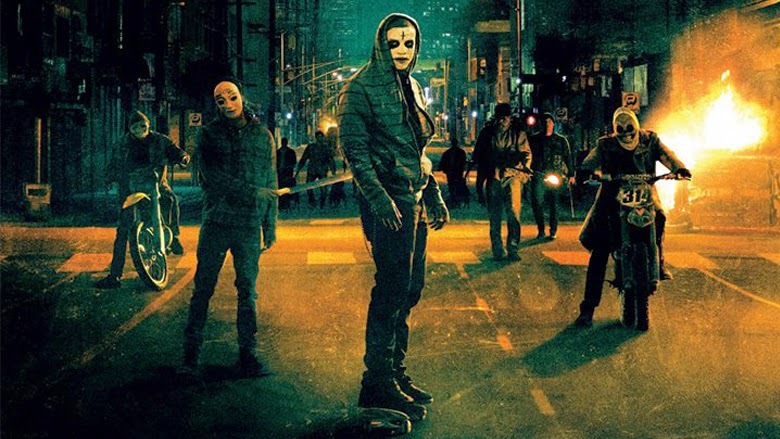 Thanks to THE PURGE: ANARCHY reaching $110M in box office sales, a third film as been given the greenlight. So, needless to say, expect THE PURGE 3 sometime in the next year and a half. After the sequel The Purge: Anarchy surpassed the original film’s $91 million worldwide gross on its way to $110 million, Universal, Blumhouse and Platinum Dunes have begun development on a third installment of the fright film. Small wonder this is happening; the two films had a combined budget of $12 million, and together have grossed $200 million worldwide. DeMonaco, who wrote and directed the first two, will write the third with an eye to direct his storyline about a land where one night of the year, murder is legal and terrible things happen those unlucky enough to not be locked up tight in their homes.